Security experts from at ESET have discovered a malware that targets Pokerstars’ users and Full Tilt Poker and that lets competitors (crooks) cheat their way to winning games by leaking their information about their cards to their competitors. It affects people who have accounts on PokerStars and Full Tilt Poker. Researchers have said that the hackers have been using the malware dubbed Odlanor to sneak a look at a player's virtual poker hand on popular gambling sites. They are then signing into the same game and betting against their victim to up the stakes and steal their money. It is said that the malware is a successor to the Zynga-targeting Pokeragent Facebook worm, which was discovered two years ago. According to the researchers, once the Odlanor executed, it will be used to create screenshots of the window of the two targeted poker clients PokerStars or Full Tilt Poker, if the victim is running either of them. The screenshots are then sent to the attacker’s remote computer. Then, the cheating attackers can retrieve the screenshots. They reveal not only the hands of the infected opponent but also the player ID. 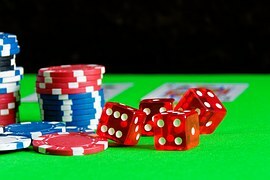 Both of the targeted poker sites allow searching for players by their player IDs, hence the attacker can easily connect to the tables on which they’re playing.